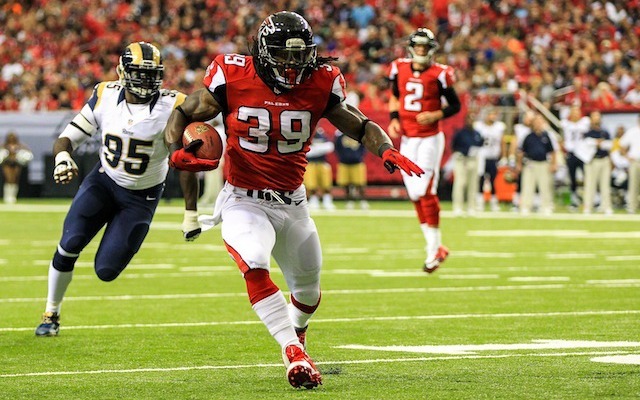 As if Devonta Freeman’s stock couldn’t go any higher, Steven Jackson is still battling a hamstring injury. There’s no way Jackson lasts all season. In a bit of a surprise, the Texans released backup running back Andre Brown. That leaves Jonathan Grimes and Alfred Blue to battle it out with the newly signed Ronnie Brown to be the first off the bench when (not if) Arian Foster gets hurt. A potential sleeper in a boatload of tight ends is Packer Brandon Bostick who saw more time with the first team today. Broncos linebacker Danny Trevathan avoided a disaster by ‘only’ fracturing his knee. Trevathan is a top-20 linebacker in our dynasty rankings. Be sure to see every post @dynasty_ffc. This entry was posted in Daily Update and tagged alfred blue, andre brown, arian foster, brandon bostick, danny trevathan, devonta freeman, jonathan grimes, Ronnie Brown, steven jackson. Bookmark the permalink.